There is no better beginning than new life. 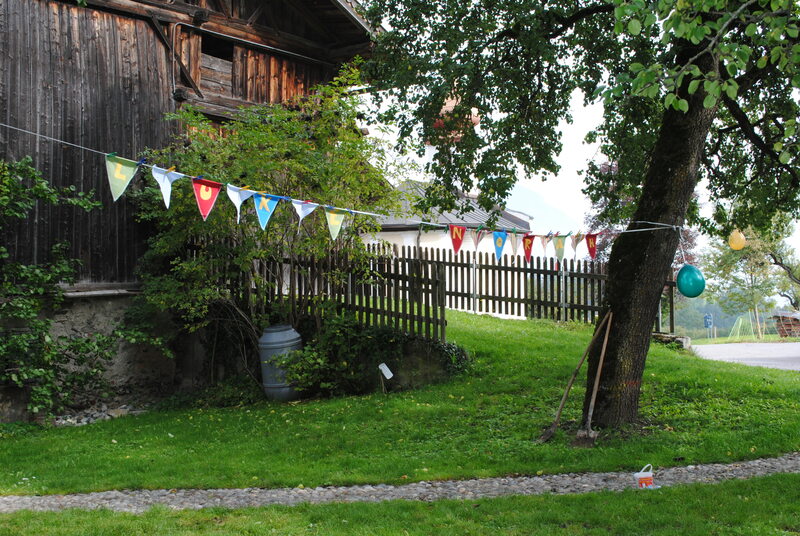 In September 2013, I travelled to Austria to attend the naming ceremony of my youngest niece and her cousin. In a week of grey, rainy weather, we were lucky to experience a few hours of clear skies for the celebration. The location was perfect – up in hills at an old renovated farmhouse, with a stunning view of the Alps. The children entertained themselves on the rope swing and climbing trees, and we ate fresh corn and pears from the grounds. I couldn’t think of a better way to mark this beginning for our family. Click here to see other entries from this week’s photo challenge. Excellent subject for this topic. Thanks for sharing. Thank you 🙂 I liked your entry too. I wish I’d thought to take a photo of the first moments of 2014.